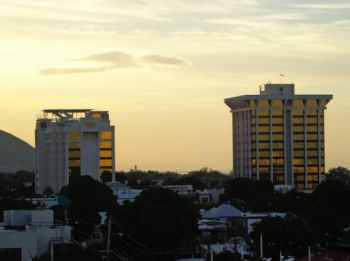 Jamaica will be receiving an $80 million loan from the Inter-American Development Bank aimed at improving the “effectiveness and efficiency” of the country’s tax system. The loan will target “fiscal sustainability,” according to the IDB, with the goal of reducing tax distortions, strengthening revenue collection and enhancing the government’s control over budgetary expenditures, among other measures. The IDB loan has a maturity of 20 years, with a 5.5-year grace period and an interest rate based on LIBOR. “These tax reforms will reduce the fiscal drain and contingent liabilities by rationalizing their structure and improve accounting practices,” the IDB said. look at those buildings. Is that really the direction BVI wants to go in?